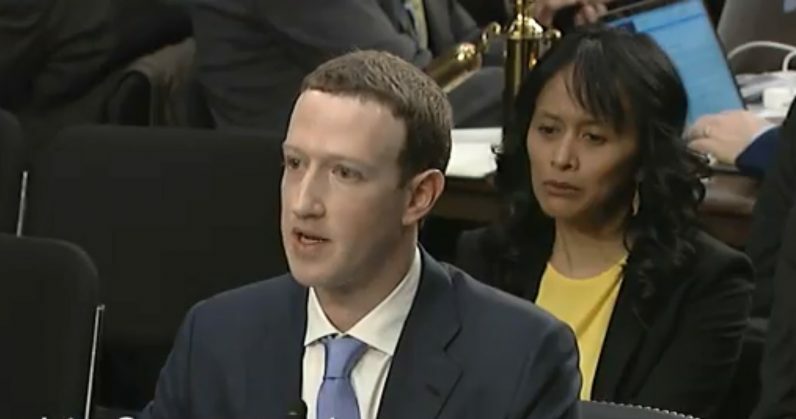 At Facebook CEO Mark Zuckerberg’s first-ever congressional hearing, in which he answered US senators’ questions about how the company handles its users’ data, Associated Press photographer Andy Harnik captured something no one expected to see up close: Zuckerberg’s notes for getting through the ordeal. They included a prepped response to questions about complying with the European Union’s General Data Protection Regulation rules – “Don’t say we already do what GDPR requires,” the notes stated. It’s possible that this refers to an incident dating back to 2015, when malware that affected jailbroken iOS devices saw some 250,000 Apple accounts’ info stolen by hackers. And last year, 22 people in China (many of whom worked for companies contracted by Apple) were arrested for stealing and selling data on an unspecified number of the company’s customers for roughly $7.3 million. This note is interesting, because it highlights an ongoing war of words of sorts between Zuckerberg and Apple CEO Tim Cook. In an interview with Recode shortly after the Facebook-Cambridge Analytica privacy scandal broke, Cook stated he “wouldn’t get in [Zuckerberg’s] situation,” because Apple’s business doesn’t involve monetizing the customer. Zuckerberg’s Senate hearing notes also include a bit about the importance of being held to the same standard as Apple in this regard. But it’s worth remembering that the two companies aren’t in the same business. Facebook relies on its ability to collect data so as to make money from selling ads, on its ability to grow its network of users, and enabling its platform to accommodate third-party developers who can access some of that data. Apple is more concerned about selling you the products it makes and having you continually invest in its ecosystem of hardware, software, and online services. While Zuckerberg isn’t wrong about the fact that it’d only be fair to hold companies equally responsible for leaking data, Facebook is guilty of a vastly different crime than Apple – if I’m right about the aforementioned instances of data theft from the Cupertino-based company. There’s plenty that Facebook needs to do about protecting users’ privacy, and throwing shade at other firms shouldn’t have a place on that agenda.